The 13th annual Suncoast Spinners tournament wrapped up last week with Queensland local team Feed the Heat narrowing out New Zealand club team Canterbury in an international clash. 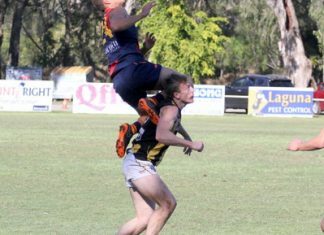 The tournament saw nail biting games played across three divisions. For many premier grade players, the tournament was an opportunity to return to the Sunshine Coast elite competition to improve their form leading into international and national competitions for 2019. On the courts beside these elite games were many basketballers in the B grade competition, who were playing their first ever tournament. Noosa MP Sandy Bolton was on the sidelines cheering on at her first view of wheelchair basketball.She said she was thrilled to be courtside to cheer on our Suncoast Spinners and meet inspirational players including our very own player Rohan McDonald and former Australian women’s wheelchair basketball captain Bridie Keen. 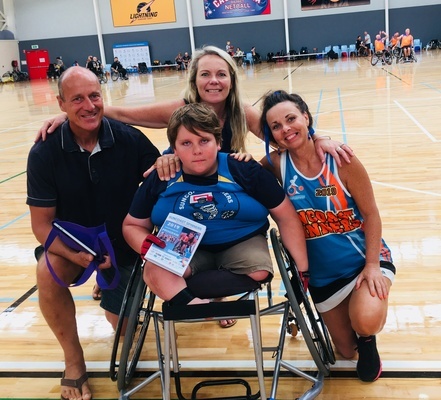 Noosa Seahorse Nippers fundaiser Little Jo Power who was introduced to Suncoast Spinners at a cheque presentation at the Tewantin RSL last December, was part of a fundraising team that raised $6,000 to purchase Rohan a customized sports wheelchair for his basketball pursuits. Little Jo has since joined the Suncoast Spinners fundraising team which raised at record amount with its raffle at the tournament thanks to Little Jo’s enthusiasm and energy driving ticket sales through the roof.